Thats a great play on paper but not sure if a hs qb (or many college) qbs could actually make that read AND complete the post. It's already being done at the college & high school level. Saying that 14-23 year olds can't make that read says everything about your thinking. Conservative, "3 yards and cloud of dust" type prevents you from evolving with the game. Don't be afraid of what's new. I agree. I wrote about it because this play is a new and different way offenses are trying to attack defenses. The play is based on Baylor's Poster concept. I don't know all of Baylor's rules and coaching points. The general idea is read the safety and either hand or throw post. What a Baylor QB can do and what most team's QB can do are different. I do think there is a lot of space to throw the ball out in front and let the post run to it. 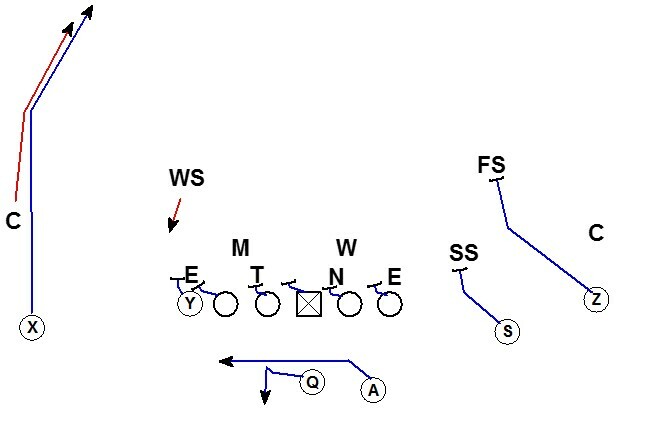 I also think running this play once or twice is a way to potentially slow down the safety. 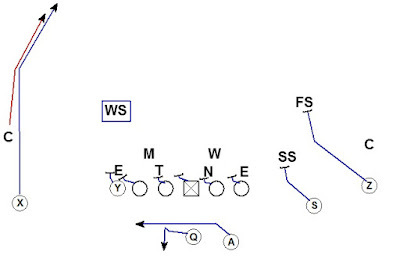 If the safety is taught don't go 'til you know this play helps create indecision. If a play can improve an offense's ability to run a base play like outside zone, I think they are going to try it. I think its not a dificult read. But Im not sure if the defense play with the WS in that position VS a TE Set. He needs to play around 5-7 yards of the LOS to make RUN support and plays de curl to flat area in a pass situatio, he needs to hold his position and leverage as long as possible to make dificult the read for the QB. For the other hand, CB plays deep with an inside leverage to play the post. 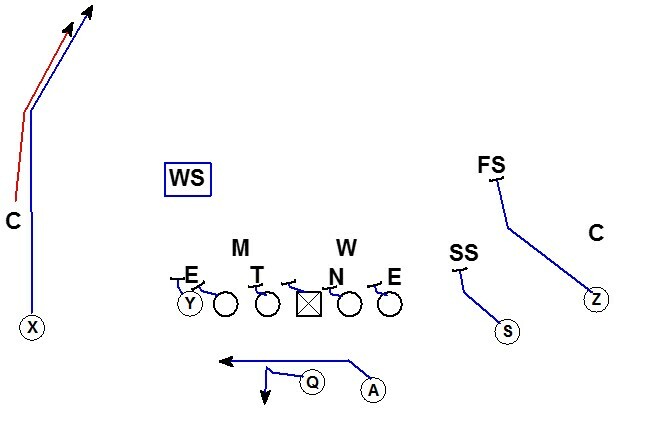 For me as a defense its dificult to stop a RPO with a quick pass like a double slant Or stick concept. 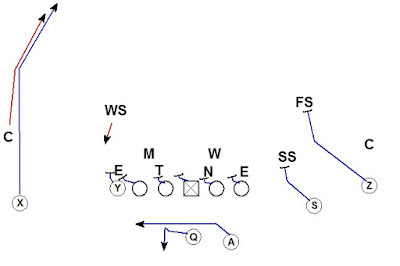 If the route its a meddium or long pass the leverage its for the Defense. 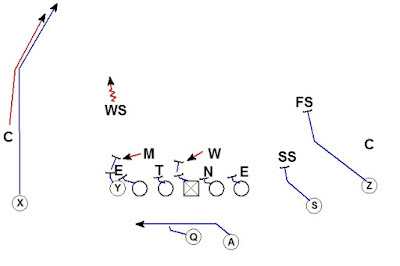 For me its more difficult if the ofense run a quick pass route like a double slant or stick concept in a RPO game. More like Oregon does. Because one of the ways to stop a RPO its that the linebakers and safeties mantain his position and leverage as long as possible to dont make an easy read for the QB. And the play makes old and trying to make the play in the box or forcing a penalty for the OL. Thats the reason Because the offense needs to throw the ball quick.